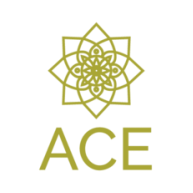 Born out of a desire to turn a horrible tragedy into productive action, ACE was created in 2015 as a response to the senseless murder of twenty-two-year-old Joshua Smith. He was son, brother, and friend to the co-founders. ACE is comprised of educators, concerned citizens, healthcare and business professionals. We work together to create, implement, and advocate for programming that fosters social and emotional growth and understanding, especially in young people. Research shows that social and emotional skills are important keys to success and violence reduction. We are proud to honor Joshua’s legacy through the work we do at ACE. ​Please take action today. Join us in increasing access to Social and Emotional Learning. Together we can promote success and prevent future acts of violence. © 2016 Alaquest Collaborative For Education. All Rights Reserved.